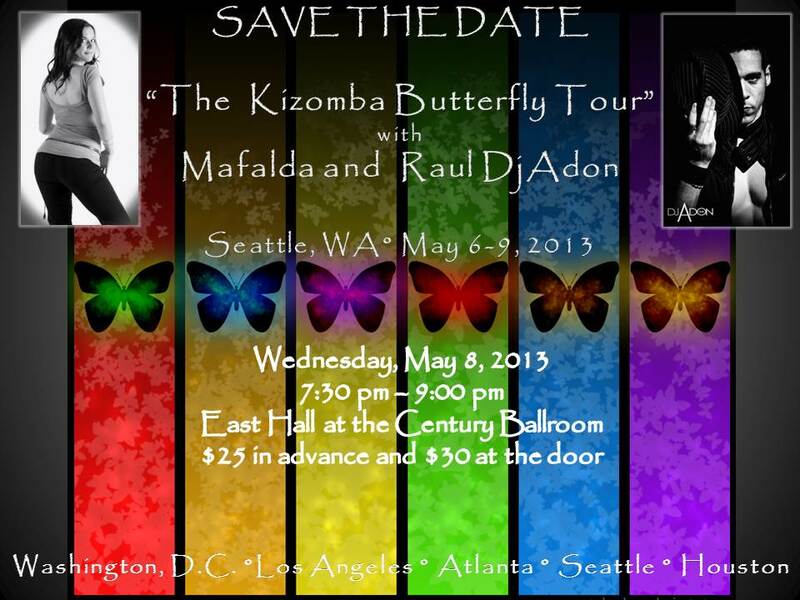 Mafalda will be back in Seattle May 6-9, 2013 with Raul DJ Adon! They will be teaching a kizomba workshop at East Hall in the Century Ballroom from 7:30 pm - 9:00 pm and DJ Adon will be our guest DJ for the night spinning some kizomba and bachata at the dance starting 9:30 pm. Registration is availabe through the Century Ballroom will be available soon - check this page periodically. Experiences: All Levels, some experience with kizomba is a must. The workshop will focus on foundations of the dance with body movement with a pattern to put it all together. After the workshop, stay to dance! DJ Adon will be our guest D spinning bachata and kizomba in East Hall.